Conducts short term need based in-service training/Workshop especially at primary level to H.Ms, & Primary Teachers. Conducts Orientation programmes for other functionaries working for teacher education e.g. 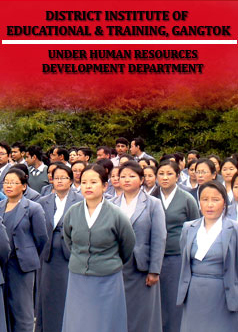 BRCs, CRCs, SMCs , Aaganwadi workers ,etc. Monitors and supervises educational institutions in their jurisdiction. Develops locally relevant Teaching Learning Materials (TLM), evaluation tools etc. Develops Training Modules, Curriculum and syllabus for in-service teacher training. Extend support in writing text books, moderation & evaluation of Questions.